Once hemochromatosis is detected, treatment is simple and effective. If hemochromatosis is detected and treated at early stages, the serious complications caused by hemochromatosis such as liver disease, heart disease, arthritis, and diabetes can usually be prevented. Hemochromatosis is treated by removing excess iron from the body in order to bring the body's iron level back down to normal. 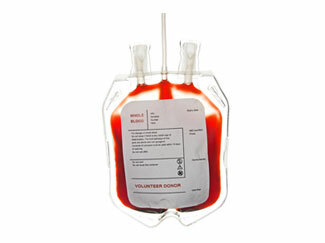 The excess iron is removed by removing blood or donating blood at blood banks. This process is called "phlebotomy". Depending on the severity of the iron overload, blood is initially taken once or twice a week for several months to a year, sometimes longer. The goal is to bring the blood ferritin down to normal levels. Once the iron level has returned to normal, blood is removed approximately every 2 to 4 months for life. This will help to maintain iron at normal iron levels and prevent further iron build-up. 1. It prevents the development of liver cirrhosis and liver cancer if the disease is discovered and treated early. 2. It improves liver function in patients who have already developed advanced cirrhosis. 3. It improves and/or completely resolves symptoms of weakness, abdominal pain, joint pain, and fatigue. 4. It improves the function of the heart in patients with mild and early heart disease. 5. It prevents further accumulation of iron in organs, thus preventing further organ damage. The outlook for people who have been detected early and treated is excellent. If the treatment is started before the organs have been damaged by iron build up, complications of hemochromatosis such as liver disease, heart disease, diabetes and arthritis can be prevented and the person can have a normal life expectancy. The general outlook is highly dependent upon the degree of organ damage that has already occurred before treatment begins. The earlier hemochromatosis is detected and treated, the better the outcome. People who are detected too late and begin treatment after organ damage has already occurred may have a shortened life expectancy due to complications of the damage already done to the organs. For example, when treating a person with early stage liver disease, the prognosis is good and the person is very likely able to have a normal life expectancy. However, if the liver has already been damaged by cirrhosis or scarring of the liver, the person's chances of developing liver cancer increases significantly, even with treatment. If you have tested positive for hereditary hemochromatosis, the following recommendations for diet and lifestyle may help you to live a healthier life. Iron supplements can further elevate your body's iron levels and contribute to disease. Eating foods that contain iron is fine. Vitamin C increases the amount of iron that your body absorbs from the foods that you eat. Eating fruits and vegetables that contain vitamin C is fine. Red meat contains a high level of iron that is easily absorbed. Alcohol increases the absorption of iron and can increase the risk of developing cirrhosis and liver cancer. Limit the amount of alcohol that you drink. If you already have liver damage, refrain from consuming any alcoholic beverages as it may cause further liver damage. People with hereditary hemochromatosis are susceptible to infections. Raw shellfish may occasionally be contaminated with bacteria. Cooking food at high heat destroys bacteria which is harmful to people with hemochromatosis. Coffee and many teas (black, green, oolong) contain a chemical called tannin. Tannin helps to minimize the absorption of iron by your body. Avoid foods that are enriched with iron such as certain breakfast cereals, breads, and snacks. Get regular check-ups to monitor the amount of iron in your blood. Get immunized against hepatitis A and B. Hepatitis can contribute to liver disease. Get regular phlebotomies as needed to help control the iron levels of your body. Exercise regularly. Include at least 30 minutes of moderate exercises that increase your heart rate into your daily schedule.